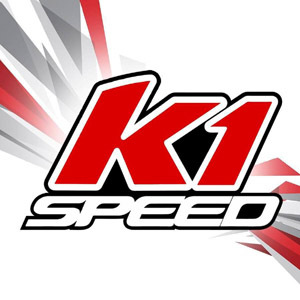 Until this year, Daniel Demaras had only driven Cadet Karts; lower powered, 3/4 scale versions of the Intrepid race karts the big kids drive. But Daniel moved up in competition to Teen Division, driving full size, full powered karts against teens up to 18 years old. Considering the fact that Daniel was taking a nap in the kart while on grid shows that he’s not too stressed out. Coming into the finals, Daniel had 3 wins, 7 podiums and 2 pole positions. But he was trailing in the points, and it would take DNF by points leader Nathanial Franco for Daniel to have a chance at the championship. 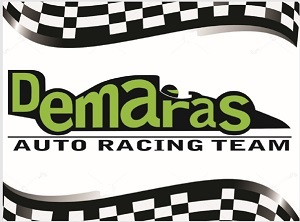 Demaras is an excellent rain driver, so the conditions suited him well. Qualifying went well, and Daniel was slated to start in 2nd position (behind Franco) but problems with his kart left Daniel standing on the grid while the others warmed up for the final. But CRKC official Kyle Rennie didn’t let Daniel down; repairing his kart and driving it to the starting position with time to spare. Kyle is the best! Daniel attacked from the drop of the green flag, attempting a pass at the top of the hill. Franco defended, but slippery conditions made driving off line treacherous. Down the hill and through the esses Daniel added pressure, and on the final corner of the first lap, Franco’s kart was sideways! Daniel swerved to avoid his competitor, but spun in the process, dropping him to last place. Driver #12 didn’t panic. He composed himself, and caught up to the pack, making passes on his competitors, and pressuring them into mistakes. Demaras dragged his kart up to 3rd place, within striking distance of the win…but the checkered flag flew. 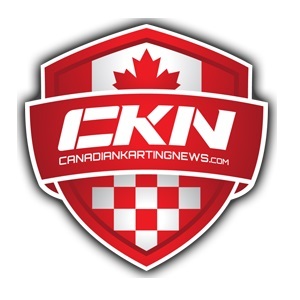 Daniel finished on the podium at the Mosport CRKC Finals for the second year in a row, earning himself 2nd place in the Teen Division championship. On to the awards banquet, and preparations for another championship run next year!